Located on the shores of Lake Simcoe, this project included the total renovation of a 1 storey bungalow and the design of a 2 storey addition and new roof. Because of high water tables, the entire building is constructed on a floating concrete pad. Tasks included: Survey existing building, Produce as-built (CAD) drawings, Design and construction drawings, OBC review with BCIN certification, Interior design, permit application and construction supervision. 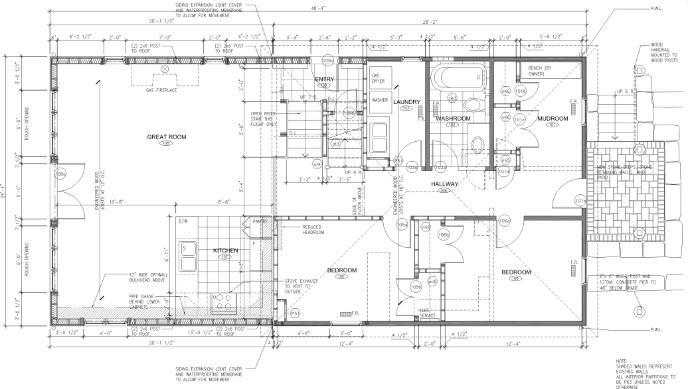 The main floor plan showing the existing renovated bungalow (shown shaded) and the new addition to the left of the page. The kitchen and great room were part of the addition. 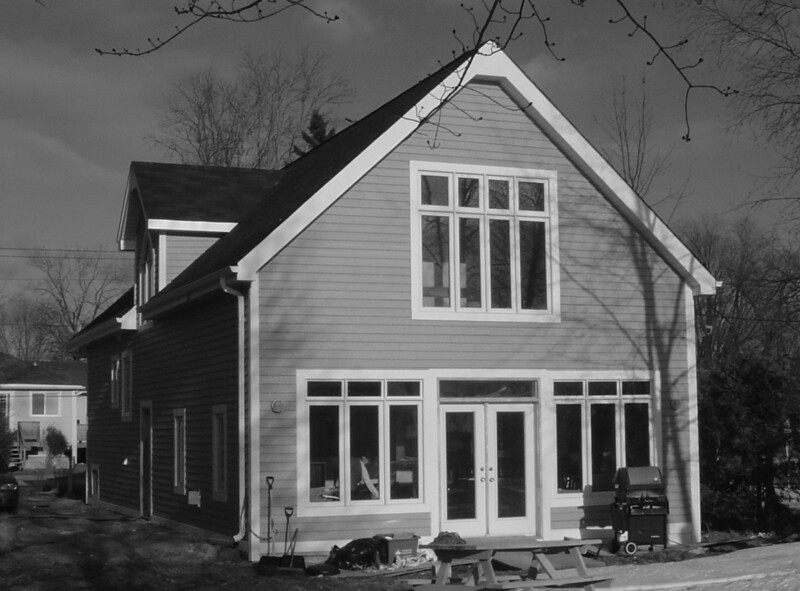 The existing portion of the main floor was converted into 2 comfortable bedrooms, a laundry room and a mudroom. The existing washroom was kept in its existing location and renovated. The new second storey of the house with master bedroom, ensuite washroom and a large multi-purpose attic. 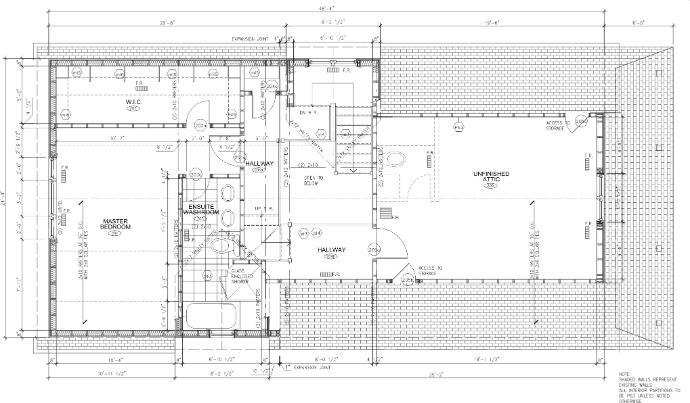 A copy of the CAD drawing of the elevations.